On this episode of rock rods we are taking you to Bikini Bottoms Off Road Park in Dyersburg, Tennessee for the SRRS 2017 Finals. The baddest rock bouncers in the Country have been battling it out all season. It all comes down to these final 4 hills. As usual Tim Cameron has a pretty demanding lead. It is still anyone’s game. Will Bubba Bacon be able to pull of the upset? Stay tuned to find out who takes home the trophy. Usually the finals are made up of 2 hills that are both ran on the same day. Well for the SRRS 2017 Finals the Bouncers are running on both Friday and Saturday. They are doing a total of 4 hills and each day counts as 50 points. That makes the finals a total of 100 points which is equal to two events. This has the makings to change up the standings real quick. One of the coolest things about Bikini Bottoms is that the owner has built his own version of cable hill using concrete. The new Cable Hill is a great addition. As their normally sandy loose hill climbs are much more suited to formula offroad. To our excitement they ran this hill 1st followed with a shot up the loose sandy hill above it for Course #1. The loose sandy climb gave many of the racers problems. Horsepower and Tires made a huge difference. Course #2 was made up of the old concrete barricade made course from last season and all the way out the top. That ended it for day 2 with a surprising leader. Tim Cameron seemed to be playing it safe in the Races. Course #3 sent the drivers up a concrete wall. Then a wide open loose hill climb to finish. Course #4 was another run up cable hill. This time it had been watered down to add a level of difficulty. We loved the 2 day 4 hill format. Let us know what you thought of it in the comments below. We can’t wait to come back for the SRRS finals in 2018. Find out more about Clayton Hollingsworth’s Outlaw Buggy in the Video Below. 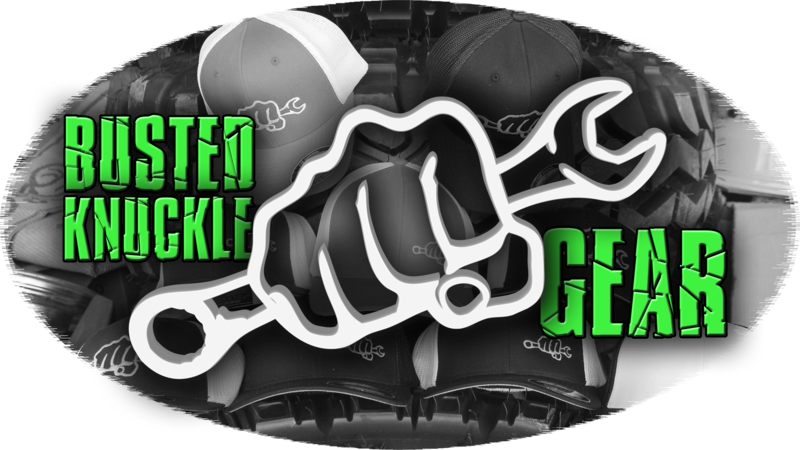 Be sure to check out our Webstore and get you some Busted Knuckle Apparel.